Should nonprofits bother with FeedBurner? Target audience: Nonprofits, cause organizations, foundations, NGOs, social enterprises, businesses, educators, journalists, Web publishers. I‘ve been bloging since May 2001. I don’t remember when I set up my first FeedBurner account, but it was probably not long after it opened in February 2004 — and well before Google bought it. FeedBurner provides custom RSS feeds and management tools to bloggers, podcasters and other web-based content publishers. 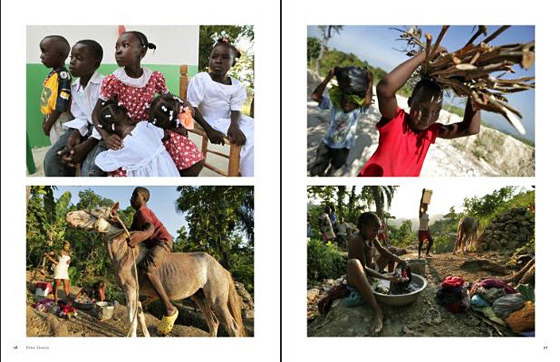 A one-off magazine produced by the American Red Cross International showcasing earthquake relief efforts in Haiti. Now that you’re sold on the idea, or are at least considering it, how do you make it happen? The first thing you need to consider is how much time, money and effort you have available to take on the project. Do you already have people who can write, design, produce and perform other required tasks? Or do you want to offload some of the work to a contractor or publishing firm? 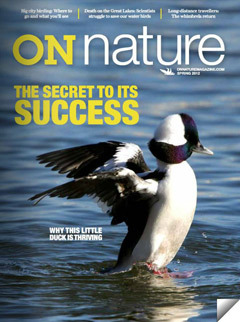 On Nature, from Ontario Nature, is produced as both a print and digital magazine. In the past, only large organizations with large audiences and budgets could produce a quality publication. But print-on-demand technology gives organizations of any size the ability to produce print publications in whatever numbers they need in a cost-effective way. Whether it’s a regular magazine, a one-time publication or any other printed product, the possibilities are only beginning to be explored in the social good sector. To get the work done, you’ll likely want to consider on-demand technologies using a combination of staffers, freelancers or agencies (yep, like Socialbrite). And that’s what we’ll cover for the bulk of this article. Another way to go is to find a custom publishing company to take care of everything for you, for a price. Custom publishing companies handle everything — even billing, if your magazine charges a subscription. A good place to look for these companies is the website of the Custom Content Council, a group of companies offering publishing services to commercial and nonprofit organizations. You can also do an online search for custom publishing companies and compare offerings. Many companies offer nonprofit discounts, such as Dazzle Printing, which offers a 10 percent discount and free proofreading to all nonprofits. Self publishing allows anyone to have a magazine without an established third-party publisher. (And by the way, there may be occasions when you want to self-publish a short book.) It’s become easy to publish a magazine using vendors, including MagCloud, FeedBrewer, Issuu, Calameo, Mstand and Scribd. Let’s summarize what they have to offer. Welcome to the 31 Day Challenge To Optimize Your Blog With Social Media. Today guest contributor Grant Griffiths offers tips on how to optimize your blog’s RSS and email subscriptions. The people who subscribe to our blogs are, more likely than not, regular readers who visit us whenever we post new content. Our subscribers feel we are trustworthy enough that they feel we have built a relationship with them. And they come to trust us to the point they may actually buy something from us. Either our products or services. A lot of what we are going to talk about here will also apply across different areas we should focus on when we are building our blog. One of the key considerations to think about when you are trying to build up subscribers on your blog is the relationship you should be building. And you need to remember you want your readers to come to trust you as a valuable and reliable source of information. A source of information that is fed to them in a form and fashion they can use and understand. And a source of information that is up-to-date and relevant. 1Design – You have seen them, the default template provided by WordPress or Typepad. Or those Blogger blogs that all look alike too. If you are serious about building an audience of regular readers on your blog, you have to have more than a default template. Spend some time looking into some of the great free or premium WordPress frameworks and themes available. Design does matter. People tend to be shallow and want things to look nice. And this same factor even applies to whether they may or may not subscribe to your blog. Consider: When we are standing at the magazine rack at our favorite book store, we always look at the cover design of the magazine. Admit it: If the magazine doesn’t look nice, we tend to not pick it up to read. The same applies to blogs. If the blog is not attractive to look at or easy on the eyes, we tend to not come back. And we darn sure don’t subscribe. I know the argument against this premise. “Don’t most blogs get read in an RSS reader or email?” Not all of them do and even so, our design still needs to be appealing to the eye. Getting people to come back time and time again certainly does depend on how are blog looks and feels to them. And those people who come back will someday become our regular readers and subscribers. 2Make it easy – Make it simple for your readers to subscribe to your blog. 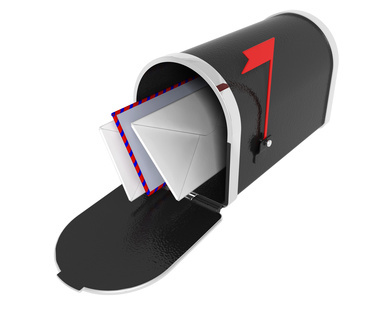 In other words, provide a clear and very visible way for your visitors to subscribe to your blog. The success of your blog, or any social media effort, depends on your willingness to solicit feedback and take corrective action when necessary. If you want to have a successful blog that supports your organization’s goals and adds value, improvement should be continuous. You need to pick the right hard data points, or metrics, that will help you harvest insights and improve your blog. First, you need to set overall goals for your blog and understand your audience. Next, you need to know the right metrics to use, and employ the proper tools to collect the data. Most important, you need a strategy—either for yourself or for a team—to gather insights from your metrics. Remember, it isn’t about the numbers alone. Alexandra Samuel coined that phrase in a post on social media analytics and metrics about the greatest peril of social media: analytophilia. It’s about obsessing on raw numbers and constantly checking the number of Twitter followers or retweets or Facebook insight clicks. She recommends that you don’t go into your analytics or stats program without composing a specific question first. I’ve been advocating this approach for a long time and offer you a set of data points and questions. 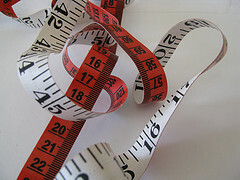 Here are seven tips to help you start measuring social media efforts. 1This means content consumption. There are two different kinds of web viewers: subscribers and visitors. Subscribers have made a commitment to regularly receive (and hopefully read or at least scan) your blog. Visitors are people who occasionally visit your blog. You should pay attention to monthly trends of content consumption over time. This will tell you a lot about your readers’ satisfaction with your content. Hard data points: Look at the feed subscribers trends from Feedburner and unique visitor trends from Google Analytics. Understand how Google Analytics calculates unique visitors and how Feedburner calculates subscribers, but please don’t get so hung up on the geeky part of measurement that you don’t have enough time to gather insights and apply them. Gathering insights: Is the number of visitors and subscribers increasing? If not, why? If yes, why? Think about your publishing frequency, the length of posts and the mix of topics.